Listening Practice. 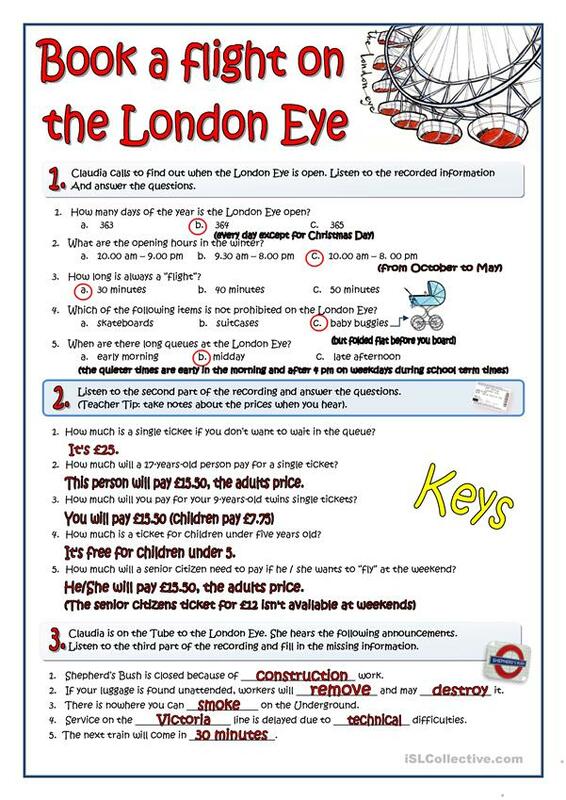 Students learn how to ride on the London Eye -prices, dates-. The worksheet has three different exercises on three different audio files. 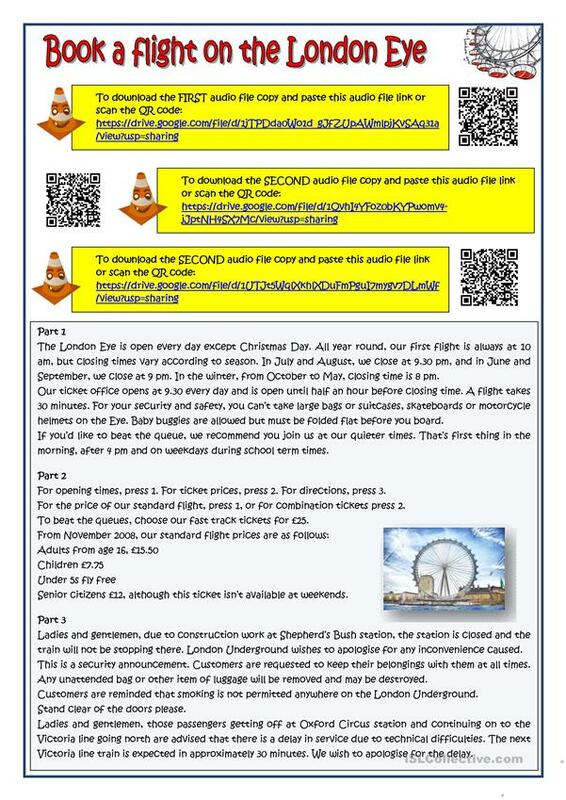 Script, keys and audio file links provided. The present downloadable handout is recommended for high school students and adults at Pre-intermediate (A2) and Intermediate (B1) level. 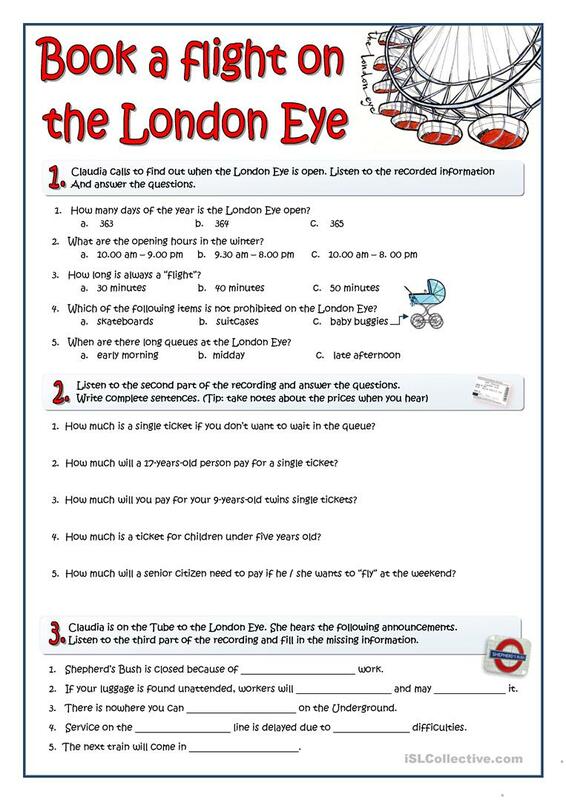 It is aimed at consolidating Verb tenses in English, and can be used for strengthening your class' Listening skills. It is about the topic and words of Means of transport. There is an answer key provided with the exercises.